FORT WORTH, TX, July 03, 2018 /24-7PressRelease/ — It’s no surprise, Tarrant County is growing and it is growing rapidly. Growth is supposed to mean a good thing for business owners, but that does not always seem to be the case for salon professionals. As competitive as the industry is, a lot of professionals are faced with working under a salon or company instead of taking their career in their own hands. For many, thinking of becoming small business owners seems impossible, but companies such as Salon and Spa Galleria offer affordable salon space for lease, plus more. 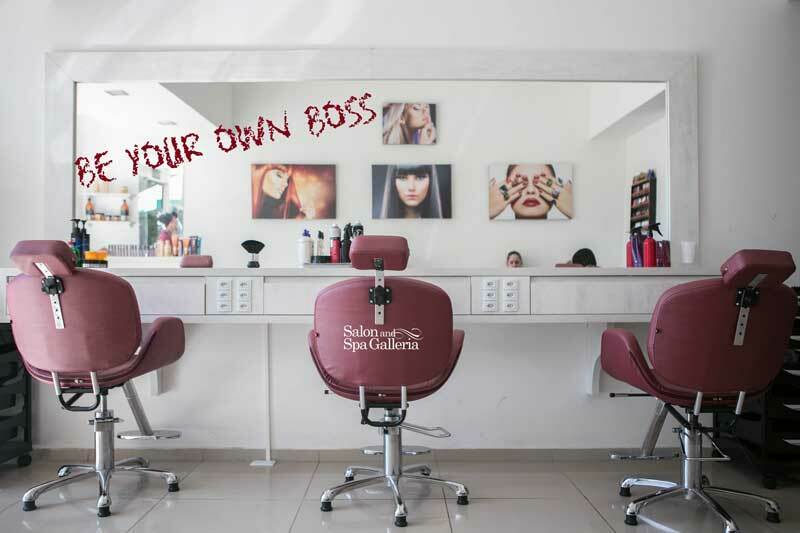 The business mantra at Salon and Spa Galleria is simple, keeping it easy to make it your own. Salon and Spa Galleria is a salon suite and booth station rental company that provides industry professionals an opportunity to start and grow their own business, while running their own salon inside of their full-service space. Salon and Spa Galleria provides everything needed for industry professionals to succeed: free marketing classes, marketing guides, established online presence, affordable weekly rates with flexible lease terms, move-in ready spaces with all utilities included and more. All that the tenant needs to really bring is a will to succeed and their own clients, it is not much in exchange for everything they benefit from. Salon and Spa Galleria currently has 7 new locations, with the added location in North Fort Worth. Salon owner is known for turning the ordinairy extraordinary, and this new Bedford location is not an exception. While the 7th location was created using converted shipping containers, Salon and Spa Galleria Bedford’s home is nothing other than the old Harrigan’s restaurant building, located right off of Airport Hwy. The former restaurant has been closed for quite some time, but Salon and Spa Gallerias brought back this ample and beautiful building back to life. It did not happen overnight, but this soon to be Salon and Spa Galleria location will offer affordable salon space for rent in Bedford, space starting as low as $50 per week. Do not let this opportunity pass you by. Contact leasing manager Sean Hogan at (817) 917-1416 to schedule a tour and ask about the move in specials. For model suites or to learn more about Salon and Spa Galleria, the salon professionals that make up the locations and so much more visit www.salonandspagalleria.com. Salon and Spa Galleria is a full-service salon and spa with professionals who offer a wide range of beauty services. We are one of the fastest growing suite rental salons in Tarrant County, Texas. We have a variety of private and luxurious salon rooms for rent that are designed to optimize and fulfill your functional needs as an independent professional. Give us a call if the time is right for you to be your own boss.